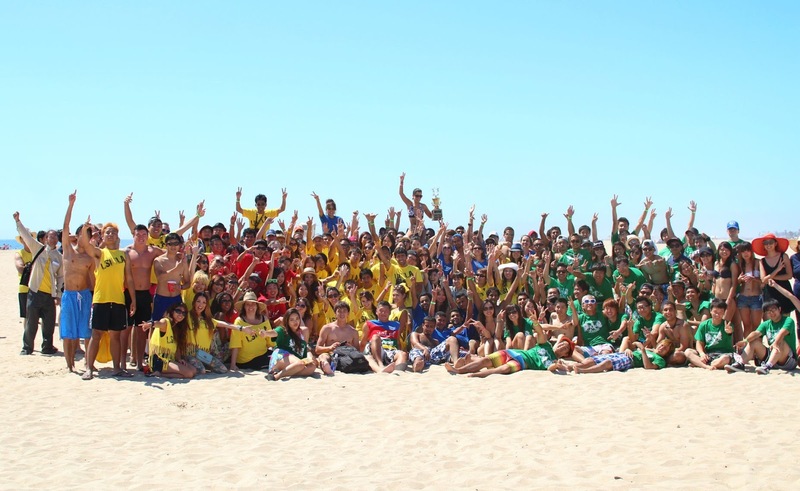 On August 23, 2013, LSI students from all four LSI Schools (Downtown LA, Northeast LA, South Bay, and Orange County) were treated to a fantastic day of Beach Summer Fun at LSI’s Annual 2013 Beach Party in Huntington Beach, California. Festivities started with the Annual LSI Beach Volleyball Tournament where representatives from each school participated in a competitive (but fun) Beach Volleyball competition. All four Volleyball teams played an amazing single-set game against each other which ultimately led to a tie-breaker round between LSI-Northeast LA and LSI-South Bay. The South Bay Volleyball team proved their mettle by taking the 2013 Championship cup in the end! Following a brief period of lunch on the beach (courtesy of LSI’s fantastic culinary team), the schools gathered once again to participate in a number of Beach Water Game competitions. Schools were first able to compete in a Tug-of-War competition where LSI – South Bay proved once again to be victorious in this event. This was shortly followed by our Stick Game event, where one boy and one girl from each school raced to secure a “stick” in a number of elimination rounds. In the women’s event, Yan Shan Lin (Linda from LSI-Northeast LA Campus) proved herself to be the fastest girl in LSI! 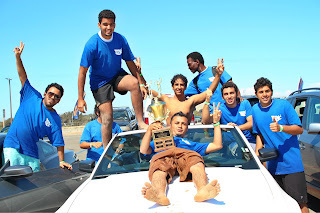 The next competition was the Fill-the-Bucket game in which ten students from each campus raced to fill a bucket with ocean water. Although it was a close race, LSI-Northeast LA students were declared the winners of this event. Nobody fills a bucket like LSI-Northeast LA! The final event of the day was LSI’s Disgusting Food contest. In this food event, five contestants from each school competed in eating a variety of “strange foods” which included Bitter Melon, Dried Squid, and Snickers caramel/chocolate bars in the shortest time possible. LSI-Downtown LA proved themselves to be the hungriest team on the beach by “wolfing down” all of their “disgusting” food in less than ten minutes! 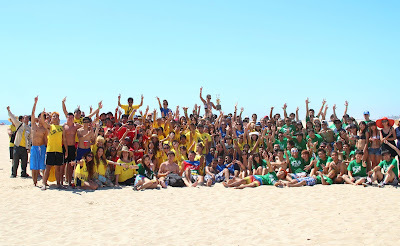 Needless to say, everybody had an amazing day at the beach and we are all looking forward to next year’s Beach Event! Thank you LSI for all the happy memories!